This is a sample of the Short words that BKS makes. All fittings are available on all blade styles. 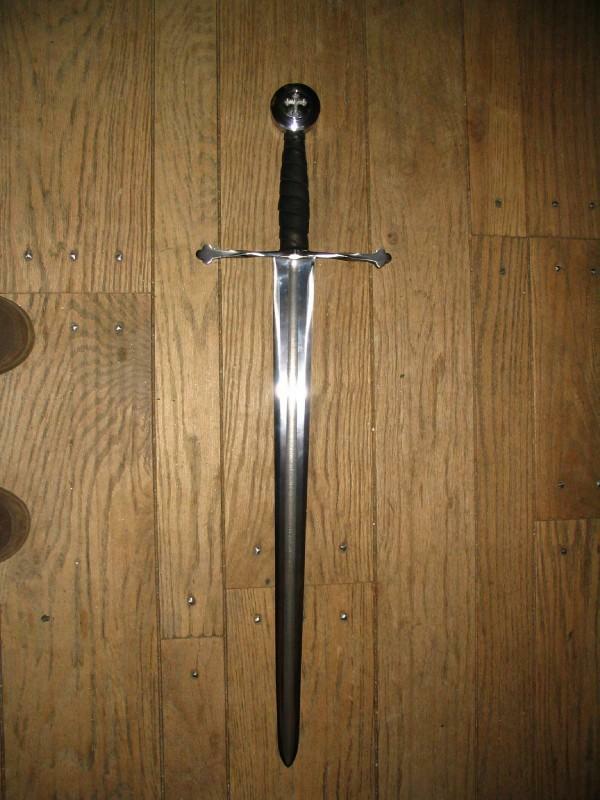 With crescent hilt and standard wheel pommel. With our bow tie hilt and standard wheel pommel. Seen here with a diamond ground and polished blade. Custom hilt with side ring. Wenge wood handle with a faceted fatboy pommel. Our Katzbalger with a 22" triple fullered blade. Forged and twisted fishtail hilt. 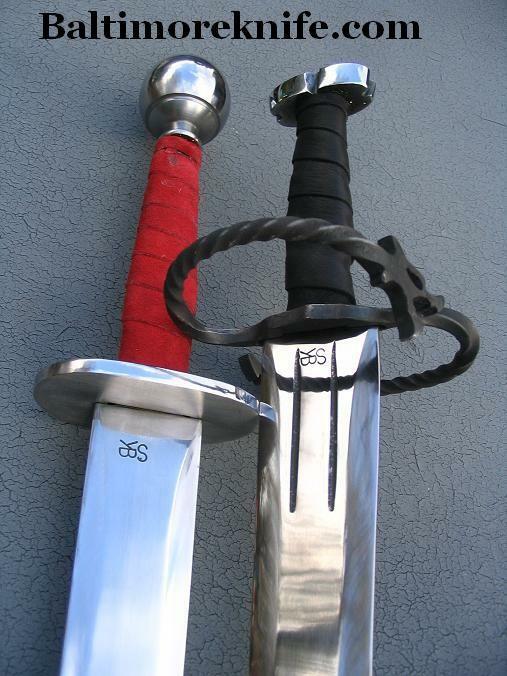 The red handled sword is our pompeii gladius. 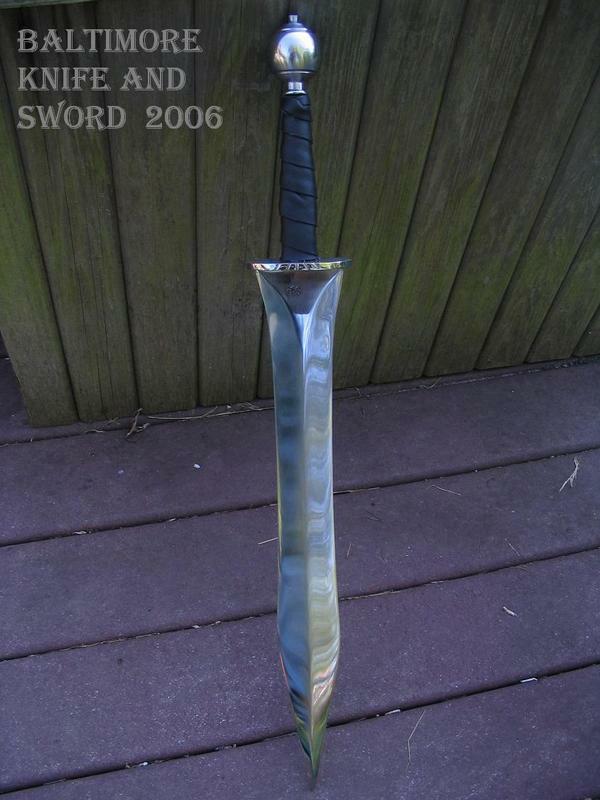 It has a 24" polished blade and thrusting tip. The guard is a polished oval plate. The pommel is our classic ball in full polish. 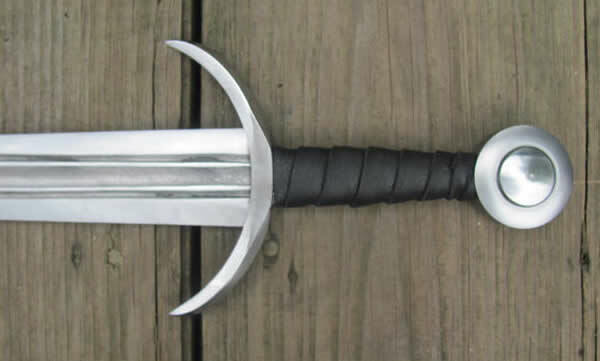 The black handled sword is a wolf Katzbalger. The blade has 2 hand chiseled fullers. The guard is twisted with two wolf heads at the ends. 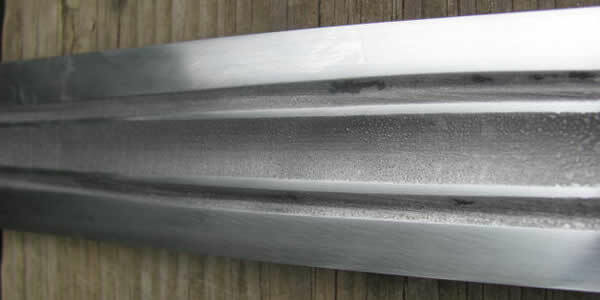 This is a fullered and edge ground 24" short sword. 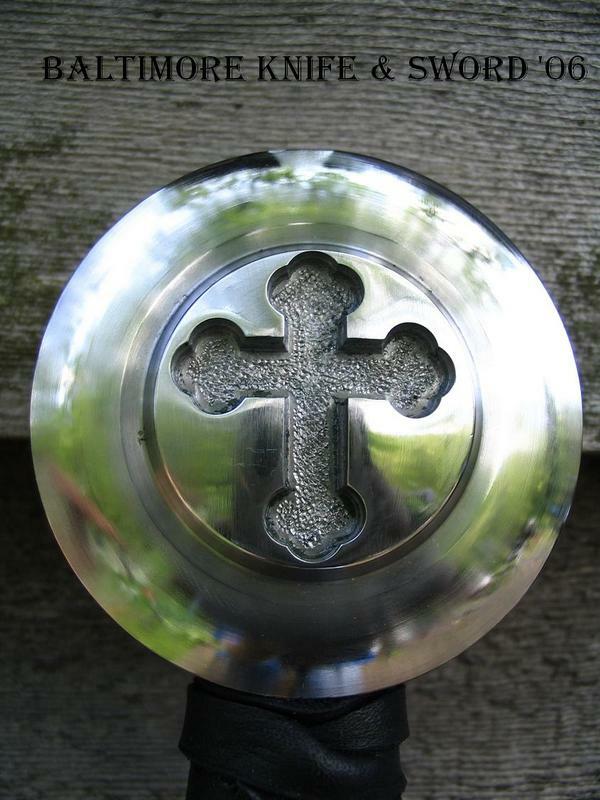 The pommel is our classic wheel with a machined cross. The guard features tri foil ends. 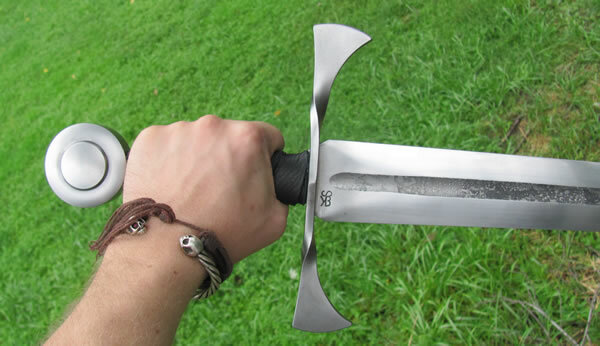 This is our Maintz pattern Gladius. Guard is a polished oval plate with chisel detail. The pommel is our standard ball in full polish.